Wash your hands thoroughly with soap and water and dry them on a clean, lint free cloth. Remove the lens from your eye and clean the lens immediately (if you wear multi-use lenses). Gently rinse it with the solution recommended by your optometrist, and scrub it clean from edge to edge with solution. Do not wait until morning to rub the lenses, as the debris gets stuck on the lens and delayed cleaning will not be as effective. Place the contact lens in a contact lens storage case that’s filled with fresh, clean disinfecting or multi-purpose solution and close the lid. If you wear daily disposables, throw them away after use. In fact, a vision scientist at the University of Texas surveyed 443 contact lens patients and found that less than one percent cared for their lenses properly. Here are some of the most common mistakes made in caring for contact lenses and why it’s important to change your habits now. 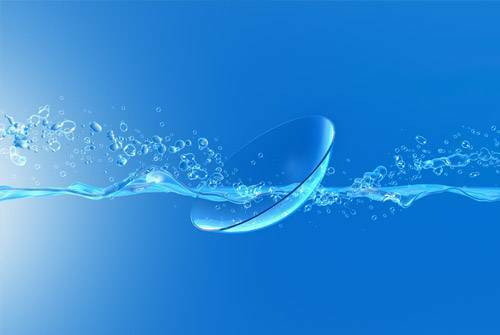 The Mistake: Storing or washing contact lenses in tap water. The Risk: Although this seems harmless, tap water can cause serious damage to your eyes. Since regular tap water is not sterile, it can cause infections, like Acanthomaeoba. Homemade saline has also been known to lead to certain fungal eye infections. The Solution: Never wash or store lenses in tap water or any liquid other than contact lens solution. Even more so try to avoid swimming or showering with your lenses in to avoid contact with tap or chlorine filled water. The Mistake: Using saliva to wash lenses. The Risk: Saliva is full of bacteria that belong in your mouth and not in your eyes. 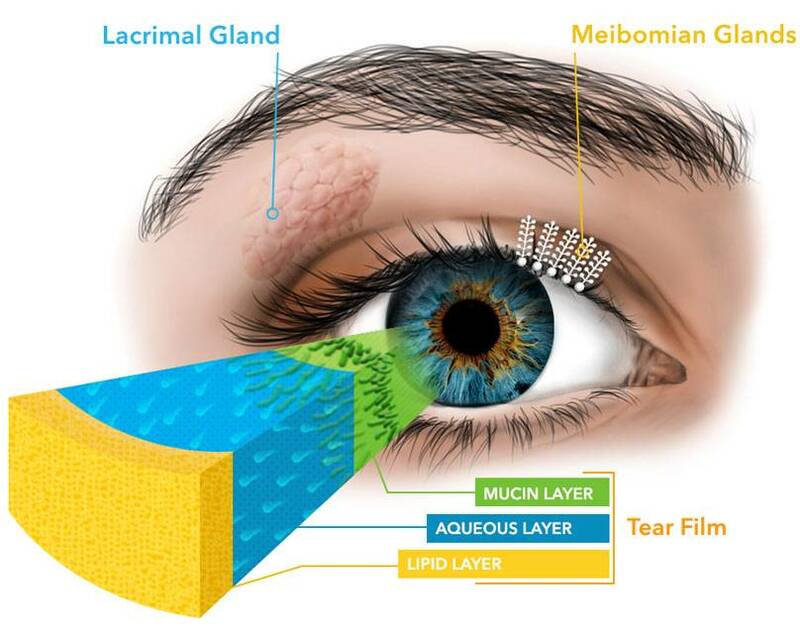 If you have a cut in your eye, the bacteria could get trapped under your lens and cause an infection. The Solution: Always carry a small container of lens solution or artificial tears. If your lenses are bothering you, either use proper solution or remove them until you are able to treat them properly. The Mistake: Reuse cleaning solution or topping off your lens storage case. The Risk: Reusing solution is like begging for an eye infection. This is because all the debris and bacteria that are in your eyes and are on your contact lenses come off into the solution. So if you recycle solution, you are putting all that bacteria right back into your eye. If you have any microscopic breaks in your cornea, the bacteria can then infect your cornea. The Solution: Use fresh solution every time you store your contact lenses. Also be sure to empty out ALL the remaining solution from your storage case from the previous day before adding new solution to it. If this is too much to remember or do, try using daily disposable lenses. The Risk: After the approved time for contact lens use, today’s thin contact lenses do not retain their shape and structure. If you re-wear lenses that are meant to be used for a specified time period, mucus and bacteria can build up because cleaning solutions do not protect the lenses for longer than the approved wearing time. Between the lens changes and the tendency for contamination, you increase the risk of eye irritation and infection. The solution: Follow the recommended schedule you are given for wearing your lenses. The Mistake: Wearing contact lenses when your vision is blurry or your eyes hurt a little. The Risk: When in doubt, take them out! If your lenses cause you any discomfort, or your eyes look a bit red, listen to your body rather than suffering through the discomfort that can potentially develop into an infection. The Solution: If your eyes are bothering you, first try applying lubricating drops made for contact lens wearers. If that doesn’t help, take the lenses out and check them to make sure they are not damaged or dirty. If it does not look good to you, do not use it. Improper contact lens hygiene can lead to, red eyes, blurry vision, irritation, and in the most severe cases serious infections and corneal abrasion, which can lead to blindness. So the bottom line is: listen to your optometrists’ instructions and keep your lenses clean!